A goal from Alvaro Morata and Gareth Bale were enough for Real Madrid to get past Espanyol this Saturday afternoon and to reach the 52 points in the Spanish League. Next Wednesday they play Valencia and will have a great chance to increase the gap to their rivals Barcelona. 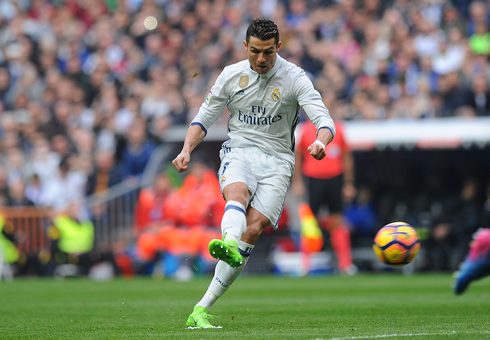 Real Madrid and Espanyol clashed this Saturday afternoon at the Santiago Bernabéu and the 3 points were kept at home following a 2-0 win from Zinedine Zidane's men. 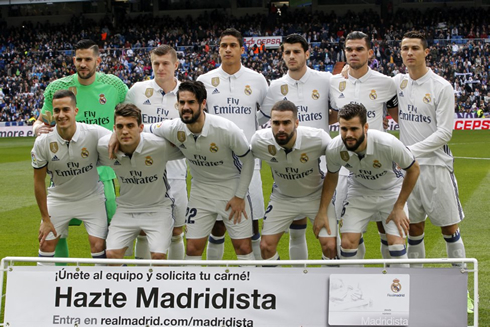 The Merengues broke the deadlock shortly after the first half of an hour, when Alvaro Morata hit the back of the net with a great header. The 3 points confirmation would arrive late in the second half, as the final blow was struck by the Gareth Bale, who returned from injury 88 days after his last appearance. Cristiano Ronaldo not have scored, but unlike in multiple games earlier this season, he contributed to his team's offensive game in a very positive way. 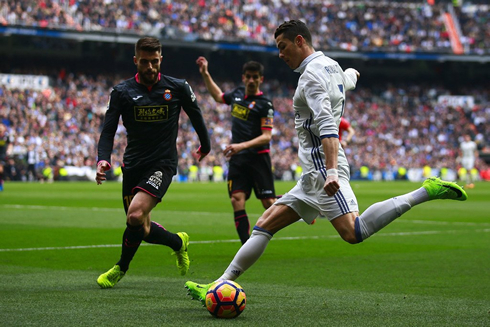 It was cagey for a while, but Madrid were able to secure a 2-0 victory over Espanyol today, helping them to remain at the top of La Liga. 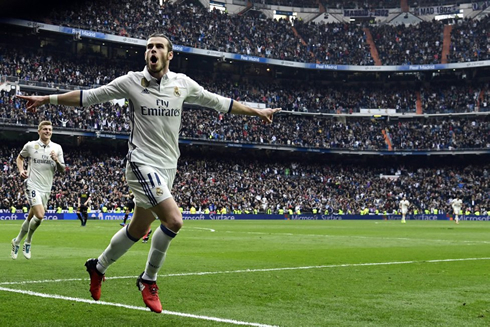 There was always a danger that Madrid would have a drop off after such a fantastic midweek game vs Napoli, but goals from Alvaro Morata and Gareth Bale were enough for Madrid to secure the victory. It's a shame Ronaldo still hasn't been able to score as of late, but if these performances are indicative of his future games with Madrid, the team will be in fantastic shape. All in all, Madrid were fantastic today. They moved the ball well and looked decisive. Bale did well in his return and his goal was well taken as he was able to showcase is trademark pace. Isco was also fantastic in midfield - showing that he was fully deserving of a third spot in midfield in certain matches. Really flawless performance overall. Fantastic stuff from Los Merengues and La Liga dream seems more and more of a reality! Attackers: Lucas Vázquez, Cristiano Ronaldo, Morata. Cristiano Ronaldo next game is a La Liga fixture, on February 22 of 2017 against Valencia. You can watch Juventus live stream, Valencia vs Real Madrid, Barcelona vs Leganes, Blackburn Rovers vs Manchester United, Fulham vs Tottenham, and Borussia Monchengladbach vs Leipzig, all matches provided from our football stream game pages.